"This reference gives you instructions for procedures typically performed by medical assistants...and it fits inside your pocket. 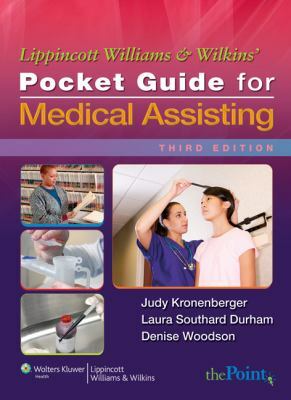 The Third Edition reflects the most recent AAMA and AMT guidelines for medical assisting practice. It also includes new information such as lab values. The Third Edition also offers color illustrations and coated paper stock that enables you to both write your own notes and easily remove them." --BOOK JACKET.Kronenberger, Judy is the author of 'Medical Assisting', published 2008 under ISBN 9780781780537 and ISBN 0781780535. Loading marketplace prices 7 copies from $15.00 How does the rental process work?